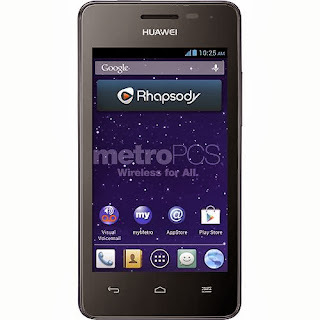 The deal of the week is the MetroPCS GSM Huawei Valiant Android phone for $29.99 (reg $79.99) with free shipping at BestBuy. For a budget phone the Valiant has a lot going for it including Android 4.1 JellyBean, a dual core 1GHz processor, 480x80px 4 inch screen, 768 MB RAM and 1.9 of usable internal memory for apps. Update 10/14: The Huawei valiant has sold out. Other especially good deals this week include a couple of AT&T GoPhones. The Samsung Galaxy Express LTE Android phone is $206.48 (reg $249.99) with free shipping at Amazon.com and the Nokia Lumia 520 Windows Phone is $79.99 with free case and 8GB memory card (reg $99.99 w/o case and card) in RadioShack stores (not online). Free reconditioned Samsung T528G touchscreen or LG 511C touchscreen QWERTY slider or Motorola W418G flip phone or LG 620G slider with purchase of a $45 Unlimited refill or $60 International Unlimited refill. Does anyone knows if a Metro PCS locked GSM phone will work with a T-Mobile sim?? A MetroPCS GSM phone needs to be unlocked to work on T-Mobile. They need to be unlocked to work with a T-Mo sim and its expensive ($30 to $40) the Huawei Valiant is the T-Mobile Prism 2, which sells for $70-$80, and doesn't need to be unlocked for use with T-Mo or most T-Mo MVNO's sim. The Prisim 2 is different phone than the Valiant. Single core vs dual, 3.5" QVGA vs 4" WVGA screen. I just bought the MetroPCS Vailiant and was wondering if I could root this phone? I searched XDA and AndroidForums and there doesn't seem to be a root for this phone yet. Dennis what l don't understand is why would a metropcs gsm device need to be unlocked to use a t-mobile sim when you can use a metropcs sim in a t-mobile phone without unlocking it? Money. MetroPCS gives you a phone discount, and they want to get it back when you pay for their service. I think I read that Tmobile iPhones have to be unlocked to use MetroPCS sims. Metro just wants to make things more difficult for the rest of us with locking their devices. Huawei makes junk phones. Along with ZTE, their networking equipment sold to large companies and governments was found to contain hidden backdoors. They could not explain this before a congressional tribunal. The Chinese military owns a large chunk of Huawei. I don't think anyone should buy from them. These phones were approved by the FCC and contain Google (USA) software. Do you think the government is not doing its job? Does anyone know if you can use an unlocked LG Optimus F7, bought from Boost Mobile, on Straight Talk? Probably not. The only CDMA phones officially allowed on StraightTalk BYOP are Verizon and Sprint. Boost phones aren't supposed to be allowed. I don't know if anyone has tested that rule so if you try it let us know if it works. I keep trying to order this Huawei phone from Best Buy, and the order gets cancelled 2-3 minutes after the order is placed. Customer Service is working to try to figure out what is wrong. The only thing I can think of is MetroPCS used to not be available in Missouri, but I think it is available nationwide now. I don't even care if I can get service, I am getting these for my kids to use like iPod Touches on wifi only...for $30, can't beat it! Hopefully Customer Service figures it out before they are all sold out! It was too good to last. Sold out. As of Monday, October 14, 2013, when ordering from the Best Buy website from the state of California, the Huawei Valiant phone/device is sold out online, and not available for shipping or for store pick-up. Two different southern California Target locations that I visited on Sunday, October 13, 2013 had both phones/devices on "sale". This could be a regional sale specific to southern California. Huawei makes complete junk. I recommend staying far away from them. In addition, Huawei ( along with ZTE ) could not explain to Congress why they included hidden backdoors in networking equipment they sold to large US companies and state and federal government agencies. Huawei also was very evasive before Congress about the major equity stake the Chinese military has in them. No one should use Huawei phones even if they are free. Nokia 520 @ $80? That's an amazing deal on a fantastic Nokia phone!!! Much better deal than the Huawei.